Ai Editorial: Why easyJet’s “Instagram-inspired trip feature” is a super move? A picturesque beach location, a delicious dish, an enamoring festival…these are examples of what can inspire one to travel. But what is the possibility of booking an entire trip around the very reason for travel – air ticket (or train, bus etc. ), accommodation, transfers etc. – in few clicks? 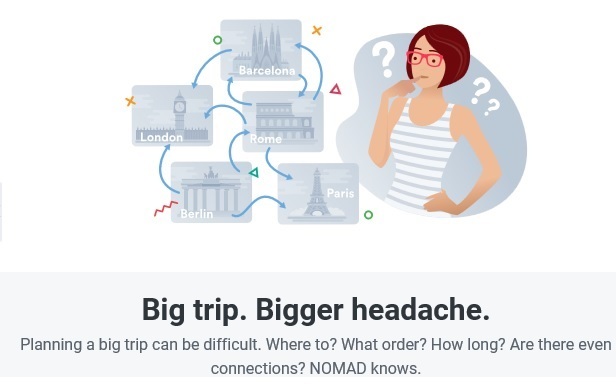 As has been the case till date, the gap between what and where to book to finally completing a transaction for a trip is rather a prolonged one, fragmented over sessions, devices etc. In this context, easyJet making it possible to book an Instagram inspired trip is a welcome change. This new feature on the airline’s app allows anyone to instantly book flights after they share photographs they come across on Instagram. 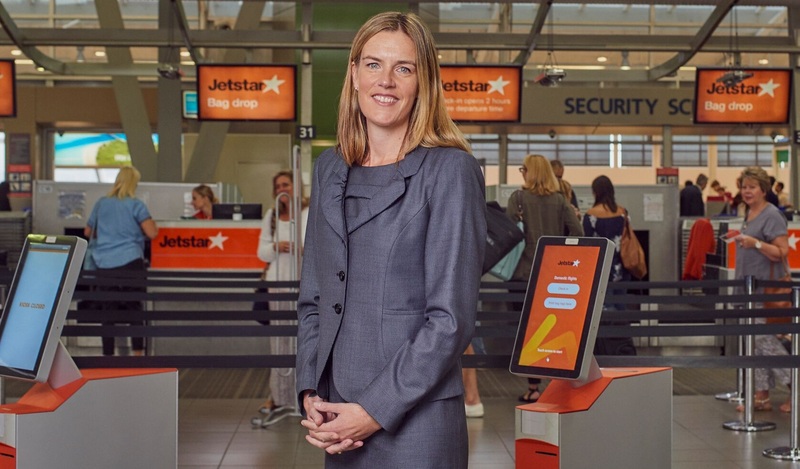 The tool merges the digital and real world, capturing the spontaneity of easyJet’s customers through an instantaneous image booking system. The feature, Look&Book, uses advanced image recognition technology to identify the location and leverages Microsoft Azure APIs to match the photo to the easyJet destination. Look&Book helps users find out where an Instagram photo was taken and which flights users need to book to get there. According to easyJet, once a user shares photos or download them on the easyJet app, then users are suggested the nearest airport. The carrier pre-populates the booking form with details. 1. Capturing the essence of travel: What this move signifies is the willingness of airlines to do away with the “search” functionality – one that typically features filling in information in tabs – from point A to B plus dates. Rather the introduction of easyJet’s feature is a fine example of thinking like a traveller, extending the moment of inspiration and making trip booking seamless from there on. 2. Early in the booking funnel: Destination discovery and associated experiences is one area where airlines haven’t excelled in a big way. But this way, by counting on mobile technology and social media, airlines can play their part in shortening the research phase of leisure travellers. By focusing on pre-booking engagement, airlines also end up targeting travellers early in the booking funnel. 3. Capitalizing on data trail: In case of easyJet, one is using the app of the carrier to share the photo they have liked. This is a vital data point as it does indicate what fascinates the user when it comes to travel. Plus, behavioral data collected from app can be blended further to strengthen the profile of the user. And it can also be used for retargeting or cart abandonment email campaigns. 4. Recommending it right: Since this is 1st party data, airlines can strengthen their own ecosystem to truly understand where and why people are planning to travel. Once you have a user-specific data, you can understand the purchase journey and also what to recommend. Since airlines have been working on a profile of a user, they can better understand travel habits and accordingly recommend something relevant, contextual. When it comes to recommending, a way to build affiliation is by focusing on personalizing destination discovery. Destination and even what a user intends to do there is what easyJet’s new feature is possibly indicating. When it comes to recommending, a way to build affiliation is by focusing on personalizing destination discovery. Here machine learning contributes by letting airlines to match locations with the lifestyle preferences of their customers. The key here is to deliver a nuanced recommendation, to “humanise” the available data. Are travel e-commerce thinking like travellers? How are they making the most of technology, data and content to simplify travel shopping? Hear from experts at the upcoming Mega Event Worldwide (Ancillary, Loyalty & Co-Brand Conferences) to be held in Long Beach, California (31st October – 2nd November, 2018). Airlines are keen on extending their reach outside their own sales infrastructure with the same set of capabilities that they can do internally. They are gearing up for an offer management system that can consider all the data points, worked around analysis and business rules, assess availability and applicability, bundle the offer items, compute pricing, and present it along with branding and rich media to travellers. Also, a mechanism is being worked out to modify the accepted offers into orders. There is a need to transition into an order management system for fulfillment and accounting. “(Today) booking information is contained in a PNR. Payment, entitlement and status information are contained in E-Tickets and EMDs. Databases are linked but not the same,” said Ian Tunnacliffe, Owner at IFT Consulting. Airlines have different mechanism for tracking the same transaction: the PNR (the order, used for operations and fulfillment) and the electronic ticket (a confirmation of the payment mechanism). One Order combines the PNR data information with the E-ticket and the EMD information into one single record. As envisioned by IATA, One Order will result in the gradual disappearance of multiple reservation records as well as e-ticket/EMD concepts to be replaced by a single reference travel document. A new standardized and expandable reference will become the single access point for customer orders by third parties (interline partners, distribution channels, ground handling agents and airport staff, among others). In the NDC environment, booking information is contained in an Order. Payment, entitlement and status information are still contained in E-Tickets and EMDs. In the One Order environment, all information is contained in a single order. Revenue management can be truly dynamic by determining an offer price based on business goals, unrestricted by available RBDs or filed fares. Merchandizing becomes a core role of the airline, not just an ancillary function. Travel changes and refundability can now be offered as dynamically offered ancillary products and be applied to any journey at a variable price, instead of having to rely on the filled fare rules. Hear from senior industry executives about NDC and ONE Order at the upcoming Mega Event Worldwide (Ancillary, Loyalty & Co-Brand Conferences) to be held in Long Beach, California (31st October – 2nd November, 2018). NDC schemas supporting a consistent interpretation of the standard, the availability of an implementation guide to support use cases and no major need for one to rework on the processes after implementing the 17.2 version have strengthened the case for going ahead with NDC. Tunnacliffe spoke to Ai’s Ritesh Gupta about the industrialization and mass adoption of NDC. Are full-service airlines in danger of getting disrupted or their hub and spoke model would remain a robust safety net? Are we doing enough as an industry to efficiently leverage data to manage customer experience and operational efficiency? These intriguing questions have emerged over the years as various external factors have been impacting airlines, including their overall customer service and offerings for passengers. The industry has responded, even though the pace of change is questioned quite often. Every aspect of customer-facing facet is under scrutiny. If today the airline staff finds it challenging to manage customer interaction in case of a delay in a flight’s schedule or fails to have a bigger say in the early stages of the booking funnel, it does indicate that the airline is struggling in today’s connected era. This is simply because passengers’ expectations aren’t the same anymore. Why aren’t we in a position to provide similar or better experience as Uber? “Data management is the foundation to managing personalized customer experience and increased revenues”, asserts Vijay Anand, Global Industry Leader for Travel and Transportation at IBM. Given the complexities involved in airline operations, he believes it is not fair to directly compare airlines with Uber although there are best practices that can be adopted from other industries. So where do airlines stand, considering that they have to deal with disparate data sources, organization silos and even outdated processes/ interfaces that the staff at the airport uses to serve passengers? There are cases where passengers are more proactive in gathering updates and information about flights than the airline/airport staff. “It’s a work in progress. The industry recognizes the importance of integrated data management and several airlines have projects in place to manage big data and analytics more efficiently. We are beginning to see Airlines leveraging data at various tough points throughout the passenger journey. With mobile apps, Airlines are enabling employees with the right information at the right time, which helps in both customer experience management and faster communications internally to ensure efficient operations,” said Anand. · Paving way for operationalizing of data: The staff at the check-in desk or at the gate is being equipped with mobile devices to serve passengers based on their travel history, frequent flyer status, the name of their company, past experiences etc. Airlines can focus on uniting all business rules and decisions, and workout a central hub for business decisions to be made at scale. · Personalization at scale: With continuous ingestion of data, airlines can count on artificial intelligence and decision-making algorithms to handle increased complexity. 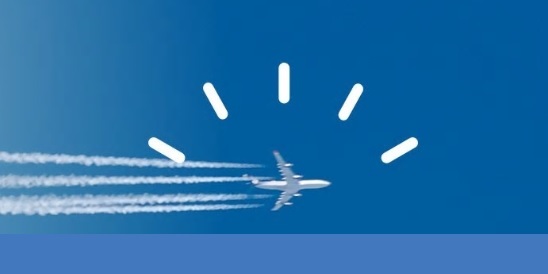 IBM Travel Retail platform uses machine learning as an integral capability for personalization, including shopping, buying and in-journey experiences. The platform learns in real-time on what offers were selected to better optimize price, promotion etc. The system automatically integrates data, learns by itself and reasons what to offer and this includes one’s propensity to buy. 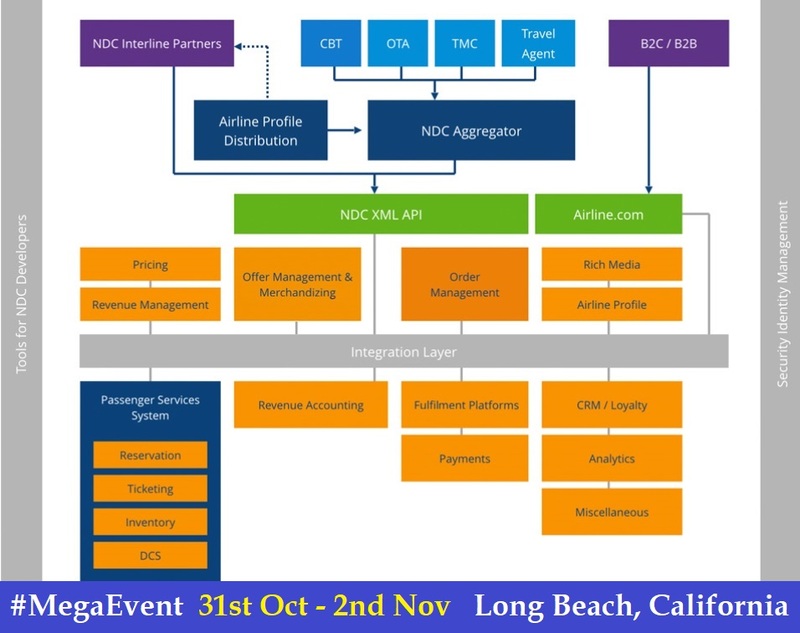 · Refining data processing for NDC: As airlines sharpen their ability to store and analyze large volumes of disparate data, how are they looking at understanding the search pattern even from their indirect channels especially in the wake of IATA’s NDC standard? Airlines with robust XML data processing capabilities allow multiple data sources such as Kafka log queues or packet level network traffic from an NDC system to be captured and processed for key IT and business data content that can then be fed into corporate BI environment. So by counting on search data, an airline can differentiate their offering – by being aware of the intent and what is of interest to passengers, digital teams can embrace rapid learning cycles and work on tailored offering for different channels. To conclude, so be it for personalization, improving customer service at various touchpoints or making the most of IATA’s standard NDC or One Order, it is all about putting things in order to improve the passenger experience. All of this is part of the same puzzle. For example, with profiles of passengers being refined continuously and order management system being the central source of truth, a passenger comes and shares the name at a touchpoint, and that is enough to service in the best possible manner – by being aware of the current flight, current order, servicing needs etc. The last interaction, be it for self-service kiosk or a customer service agent, is clearly documented. As for retailing, airlines can differentiate by playing a role, starting from discovering a destination to offering trip essentials. Airlines already have set up a strong partnership ecosystem. The key is to offer the right product in a personalized manner. It is imperative for airlines to fill up seats at a much better yield. Working on a two-sided marketplace would take time. But, yes such model where a traveller or a loyalty program member is offered a relevant product, including ones from the non-travel category, means the airline can benefit from a data-driven learning loop. More they click and shop, more the airline learns about the customer. 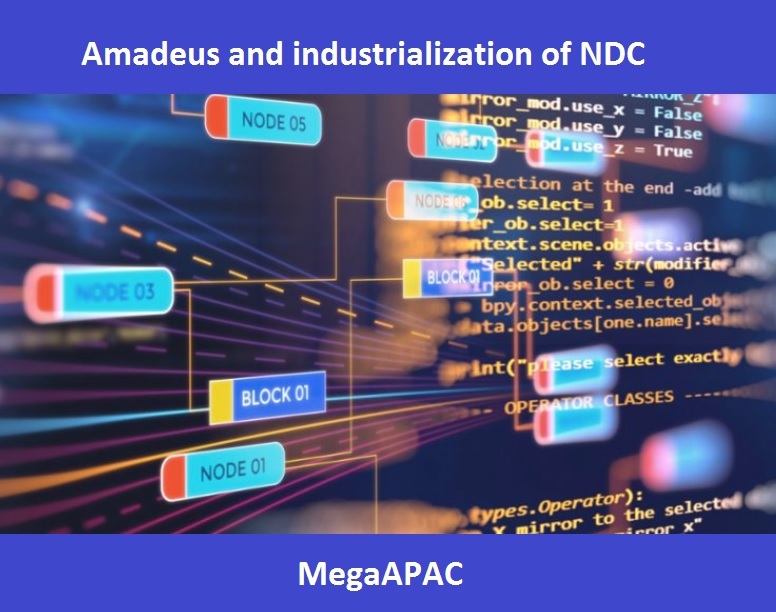 Ai Editorial: Why Amadeus believes timing is right for industrialization of NDC? Amadeus has been working on plans to industrialize IATA’s New Distribution Capability, an XML-based data transmission standard. Focusing on the collaborative route to take the standard forward, the group has signed a spate of agreements in the recent past, including ones with American Express GBT, American Airlines, Carlson Wagonlit Travel (CWT), and BCD Travel in a span of a week. The involved entities are focusing on new use cases for authentic standardization via a test and learn approach. This route adopted by Amadeus is significant as requisite modern retailing capabilities can only be built on top of the NDC protocol provided it responds to travel providers and sellers’ needs. Amadeus acknowledges that progress made with the version 17.2 in terms of bringing into line the Offer and Order structures in the NDC schemas has set the tone for a dependable understanding of the standard. “The industry today (when it comes to NDC) is far ahead where things were a year or two ago,” said Gianni Pisanello, VP, NDC-X program, Amadeus. Pisanello underlined progress on three counts. Third, the industry has advanced in terms of standardizing the flow. “There is nothing to gain as an industry with different flows,” said Pisanello. He mentioned the issue of flexibility needed to be sorted. For example, one flow could indicate booking a flight first, paying for it and then seat allocation taking place. The other would allow booking a flight and seat, and paying them together to complete a transaction. “So the outcome is same, but the flow is different. Schemas are a set of words. Their use (as per the user’s discretion) was resulting in different flows within the same standard. Now with the Implementation Guide (features sample instances to showcase actual use cases), there is documentation in place to help a stakeholder move with their NDC project,” explained Pisanello. With the standardization of the schema and the flow as well, is it a case of curbing innovation? Among the set of objectives, a key aspect of Amadeus’ NDC-X program is to ensure that NDC content is easy to access and compare. Initially, the focus is on a simple flow of “shop, order and pay” using the NDC standard. “Post this, the plan is to include the servicing capabilities that travel agencies need, such as the ability to change tickets, or to add ancillaries,” shared Pisanello. “Once the schema and the standard are in place, airlines have to implement all the right features for the travel agency to do their job i. e. to fulfill the work and provide services to their travellers. 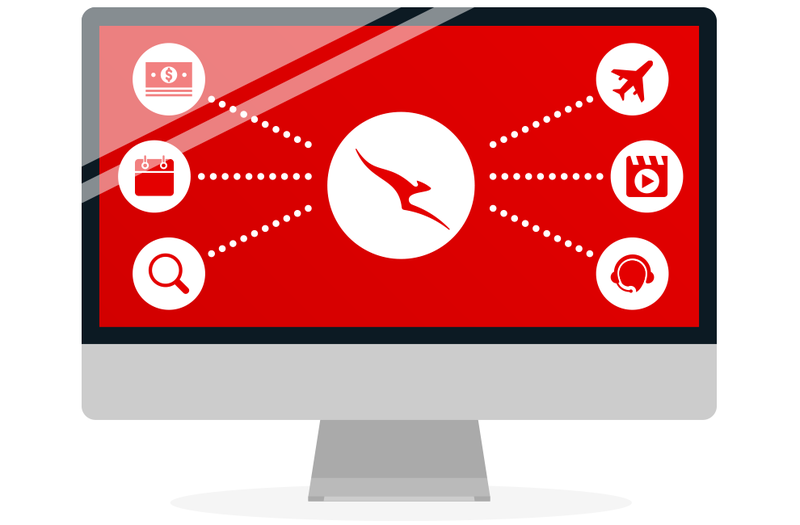 Airlines not only need look at content and product offerings that they offer on their respective digital assets, but also at other areas that agencies need for their association with travellers. So in addition to shopping and booking functionalities, but they also need to incorporate vital features such as re-shopping capability,” explained Pisanello. He added that another critical aspect of NDC would be the performance of airlines’ systems that can handle search requests coming in from various indirect channels. “A sub-second respond (from an airline) would be critical and if this doesn’t happen in the NDC framework then airlines would lose out (be not being present when an intermediary produces results when a user searches).” Airlines are looking for systems that are interoperable, scalable and flexible, unlike proprietary applications used in the past. “We can deal with it (performance required from systems). We are operating on open systems. Our systems have developed real-time capability to process every shopping request, for instance, managing availability of seats in a particular fare class at a given point of time,” stated Pisanello. “An aggregator continues to bring together suppliers’ content via a platform to agencies. We can deliver reach and sale whosoever the provider is. With NDC, the industry is upgrading capabilities – airlines working on personalization, relevant offers; aggregators can build offerings on top of NDC content and combine it in new ways; and agencies are essentially retailers. Agents would have varied content, along with their layer of personalization they would have strong opportunity in servicing their customers better,” mentioned Pisanello. He added that it is important to understand the productivity of the agencies. “What sort of content is needed? There is a difference between the B2C and B2B environment. Whom are we servicing? It isn’t about putting the same content, even different agencies need different content. NDC has been created for agencies. Airlines can’t manage 100% of distribution via their .com or apps. The agency channel is a vital player in this mix, and who would facilitate and serve them the best is an area of expertise as well,” stated Pisanello, who added that NDC shouldn’t be clubbed with the commercial strategy of airlines, be it for the introduction of a surcharge or offering NDC commission to agencies. “These would have happened anyway. They are more of a function of certain carriers’ size and operations in a certain market,” pointed out Pisanello. Pisanello expects existing infrastructure using EDIFACT and the one based on NDC to continue for years. Amadeus is working on its web services product. It will aggregate NDC and non-NDC content, and this product is scheduled to be in production for piloting by online travel agencies. It will then be industrialized and enhanced with servicing capabilities. Worldwide deployment is being targeted in the first quarter of next year.